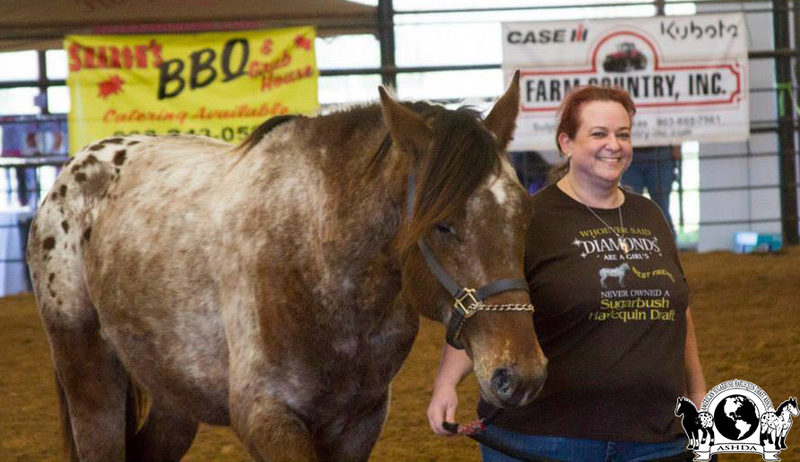 Horses registered with an "E" designation are part of the living history of the breed. Every "E" horse was either used in, or produced by, the Sugarbush Hitch Company breeding program or is a descendant of them. The only way to get into the exclusive category of the registry is to own a horse bred, or used, by Everett Smith or the direct offspring of one. Horses two or more generations removed do not qualify for "E" designation. E-0001, Stonewall Rascal. Owned by Trinity Appaloosa Farm. Horses that founded the original Sugarbush Harlequin Draft bloodlines are priceless and highly prized by their owners. There are only a handful of these horses left and they are crucial to bringing back the breed while maintaining the original ideals. 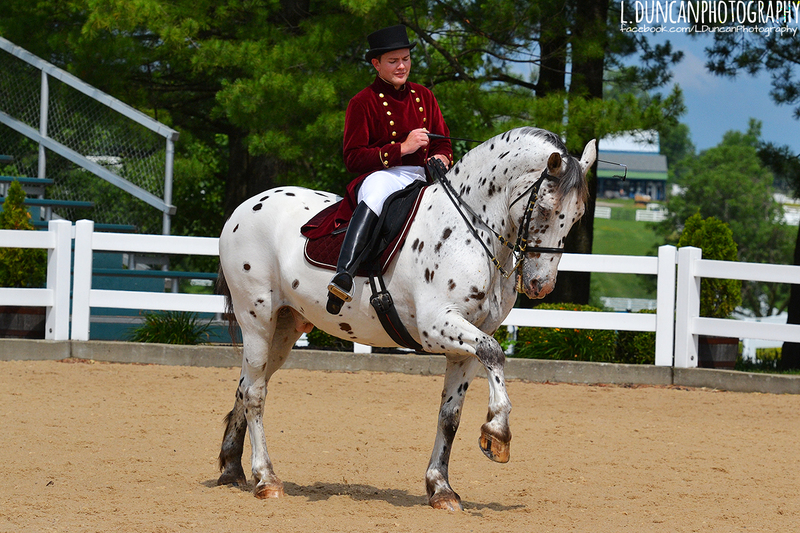 To have one of these fantastic horses in your program is the mark of true dedication to the breed. At the time of ASHDA's founding, only one mature breeding stallion and a small number of mares and young horses were left that could even qualify for this section of the ASHDA studbook. The registry hopes to expand the numbers of this small category with careful breeding to approved horses. E-0009, He'za Big O Texas Star. Owned by Stephanie Adame. Other horses from the Sugarbush Hitch Company program may have a "SHC" prefix in their registered name. The presence of any of these or related horses does not guarantee an "E" designation registration, but it certainly helps! Horses from the original Sugarbush Hitch Co. program are valuable assets to any program, not just as breeding stock but as living history, and their offspring are also crucial in helping to revive the breed! 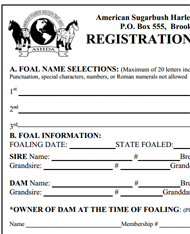 If you think your horse qualifies for this elite section of registration, please contact the registrar!